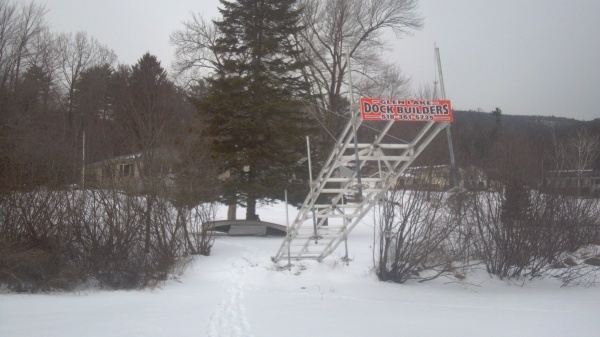 Docks, Decks, Dock Platforms, Floats - We Do It All! 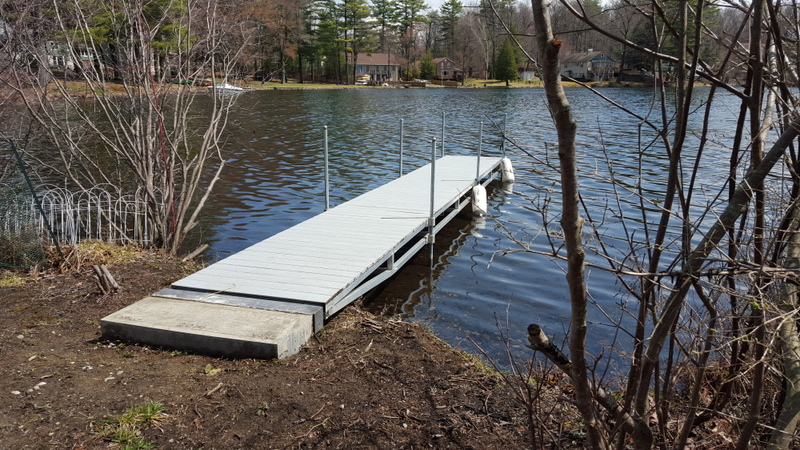 6' x 8' dock platform w/16' deck extension. 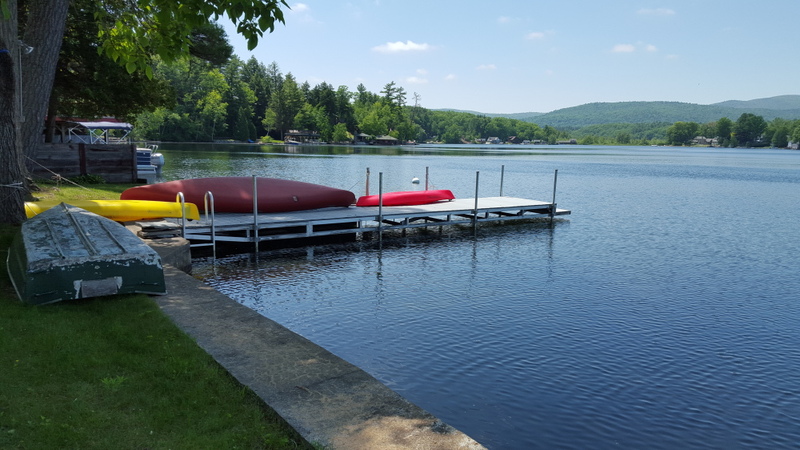 We know how imprtant your time at the lake is! 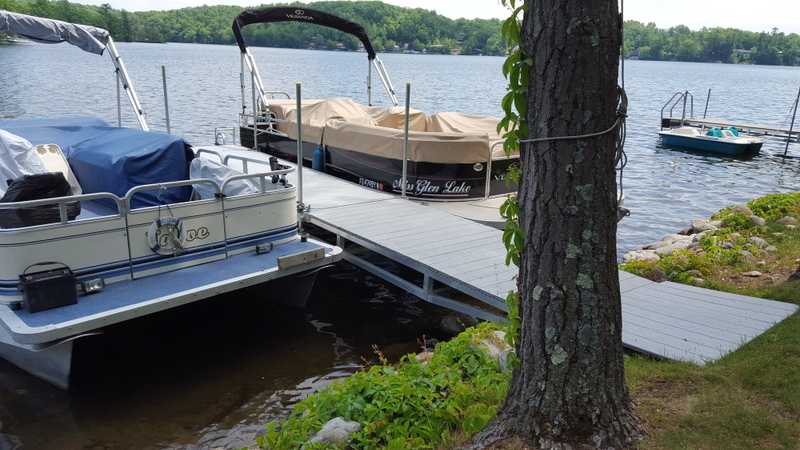 So our docks and project work are designed for no hassle or fuss to get in or take out. We will even do it for your, so all you ahve to do is enjoy! 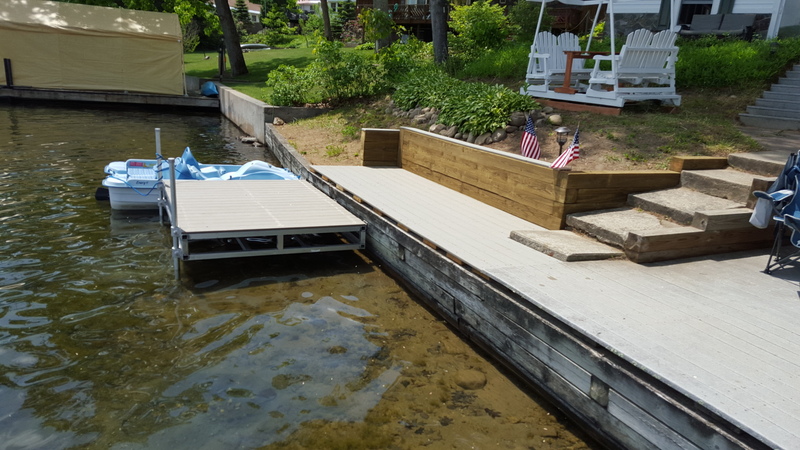 We will work with you to get your ideas, and then help you to transform your lakefront into a space that you will be proud of! Our product are hand made by us, and we install and service all of it. If ther is a problem you call us and we take care of it! 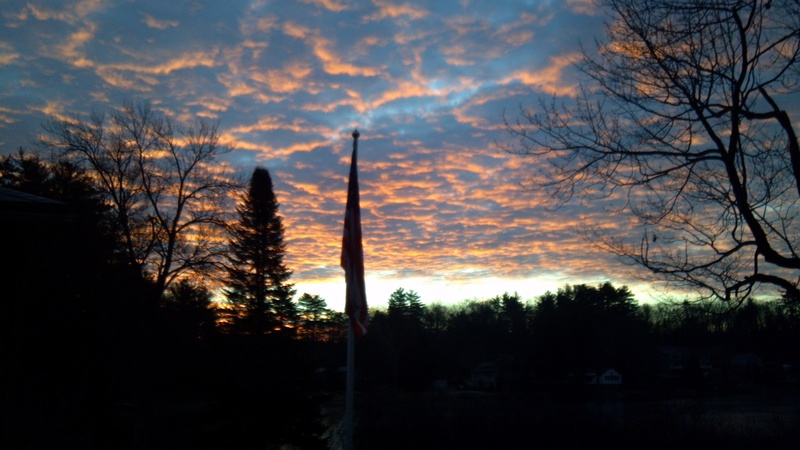 We warrantee our wokmanship and materials. So ther is really nothing to worry about, except the weather! 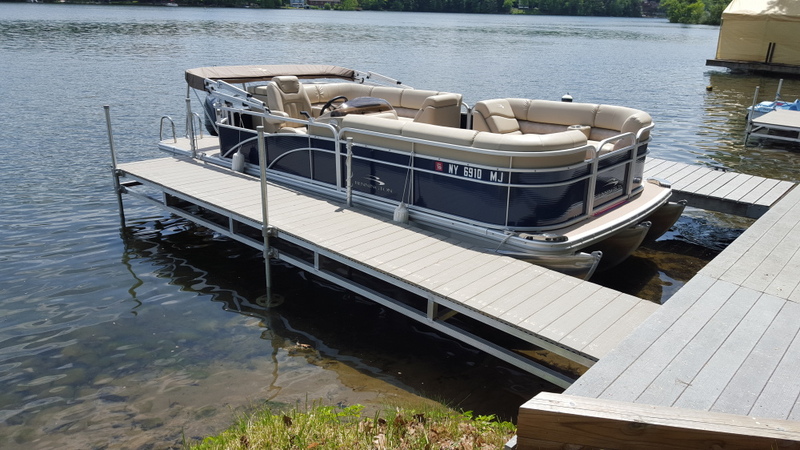 Let us help you enjoy your time on the water. Contact us today for a free quote. 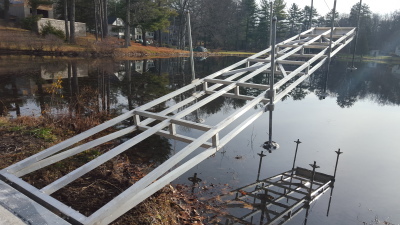 30' dock retracted for winter. Getting ready to water ski!